This short review appears on The Upcoming website here. It may be advantageous to be familiar with Bruno Dumont’s cinema before one goes to see Camille Claudel 1915 since his work seems to be extremely personal and his style seems to have developed into one that novices may not fully appreciate. 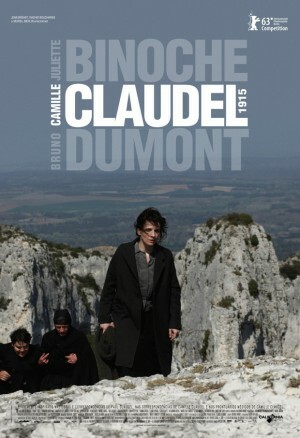 The film starkly represents a limited though typical period of time in Camille Claudel’s (Juliette Binoche) near 30 years imprisonment in an asylum attended to by nuns. For the first hour of the film, we watch Claudel sit, eat, pray and cry, waiting for the promised visit from her brother Paul (Jean-Luc Vincent), who may get her out of there. Binoche’s believable and restrained performance – she is given very few lines and has to convey a lot with only her face, filmed in long close-ups – powerfully tells of her feelings of entrapment and abandonment. Meanwhile, Dumont mixes the sacred and the profane by focussing on the faces of the inmates of the asylum (played by disabled, non-professional actors) in a way that is meant to convey the clash between an all-too human reality and a somewhat irrelevant religion. Indeed, when the strongly devout Paul does arrive, Camille and he speak at cross-purposes and it becomes all too clear that Paul has religious reasons for keeping her locked away. The film is a moving and esoteric depiction of a woman’s long imprisonment held together by a strong central performance from Binoche. Its stark treatment is presumably intended to convey God’s silence and the incongruity of religion and the reality depicted. It is slow, minimalist cinema similar to Bresson in style and Pasolini in theme. Though powerful and artistic, it may appear extremely slight and will probably mean much more to those familiar with Dumont’s previous films and those willing to give it more than one viewing. A longer review will appear on the website closer to the film's release. 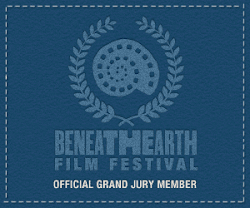 And for a short review of Dumont's previous film, Hors Satan, see the 2013 Round-Up.